The new Tiguan marked the introduction of a whole range of new SUVs from the Volkswagen group. Since its launch, it has been joined by its SEAT Ateca stablemate and Skoda will be introducing their larger Kodiaq SUV in the new year. The Tiguan however is very much the premium offering of the group. 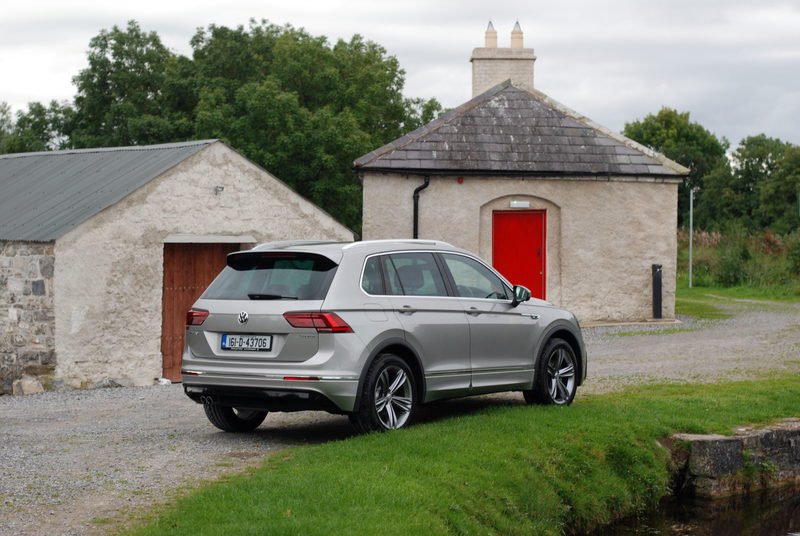 When I first set eyes on the new Tiguan at its Irish launch earlier this year, I couldn’t help but be impressed. 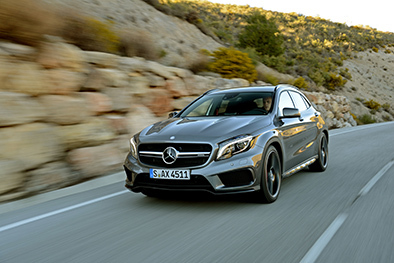 From the front, the V-shaped bonnet lines mirror the shape of the lower front bumper. The horizontal lines of the grille blend seamlessly into the LED highlights. 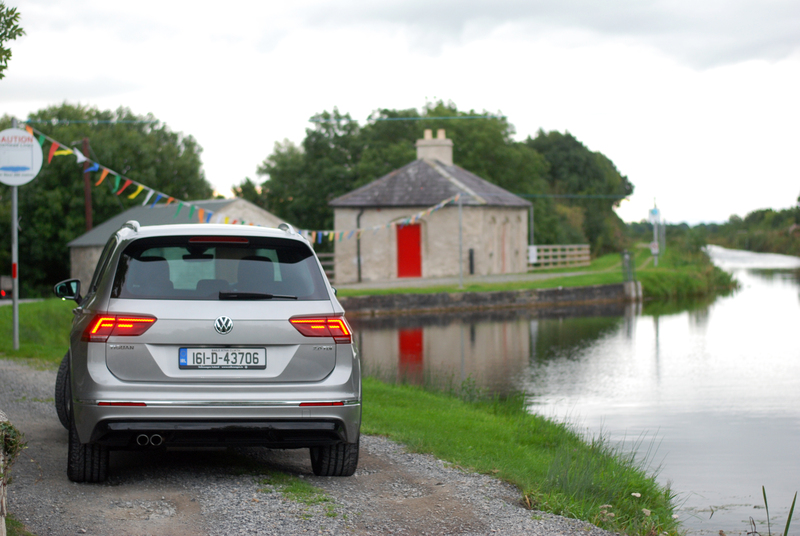 High shoulder lines continue back along the Tiguan’s profile until to meet up with the sharply sculptured rear. 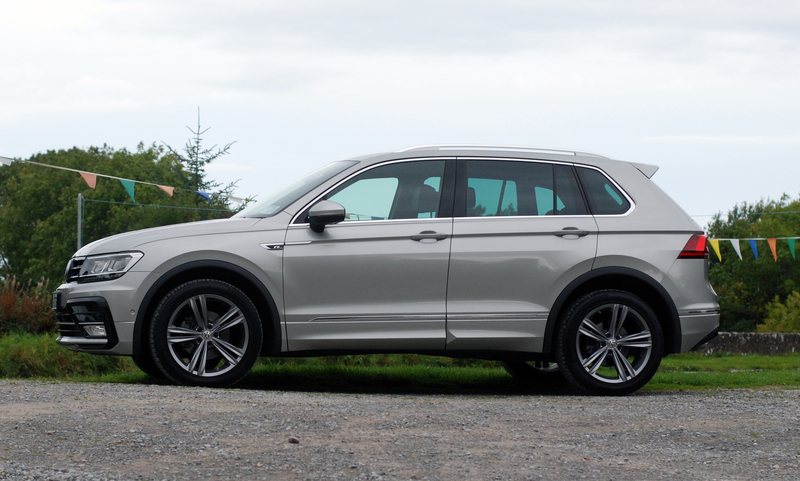 The new Tiguan is a very smart looker. Dressed up in the R-line spec it looks even better and thankfully the car I took for a week long test drive was kitted out to the same high standard. So what does this R-Line specification bring to the table you may ask? Well on the outside you get 19″ Sebring alloy wheels, the front and rear bumpers along with the side sills get a bit of a sharper extension and then there’s the R-Line rear spoiler; all are body coloured which in this case is Tungsten Silver Metallic. 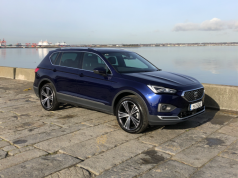 The end result is a very tidy, solid looking SUV; when the Tiguan is parked on your driveway you can expect to see plenty of your neighbours out checking their post-box or adjusting their curtains. On the inside you won’t find those big chunks of that hideous glossy, black plastic that is now considered the norm among so many new cars. The materials used are of the highest quality and the whole package is well put together. Make no mistakes about it, when it comes to putting together solid, well-built and comfortable cabins; VW are miles ahead of the competition. The traditional specification grades for Volkswagen are used with new Tiguan, starting with Trendline and moving through Comfortline, up to the highest specification – Highline (which the test car was kitted out to). The R-Line spec sees a few additions here too. 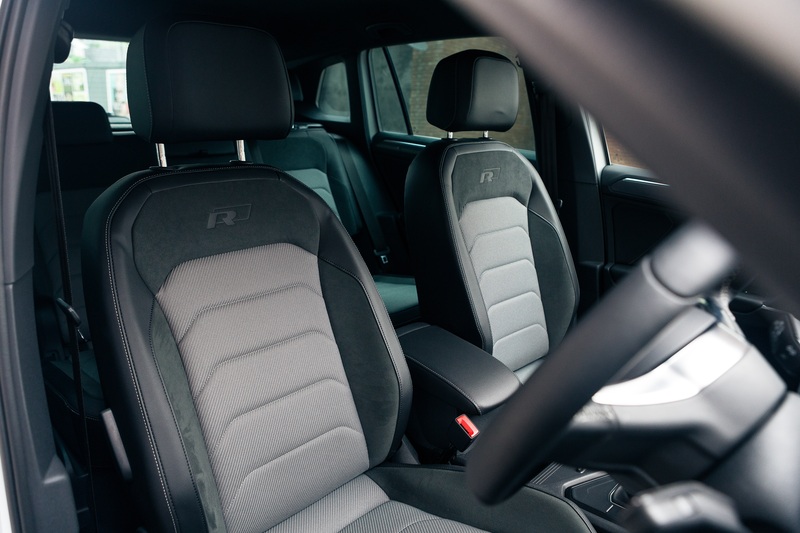 The seats are in “race” fabric with inner side bolsters in “San Remo” fabric and the leather multifunction sports steering wheel is embossed with the R-line logo. Each level is well kitted out and the Active Info Display which comes as standard on the Highline models is quite brilliant. It’s a high-resolution display which replaces the conventional speedometer and presents all the required data and information about the vehicle. It can be tailored to five different views depending on the driver’s requirements or personal preference. With the new Tiguan you’ll also get more headroom and rear seat legroom than the out-going model had, however it’s in terms of luggage capacity where its competitors will cringing. Time and time again I’ve heard people use “space” as the reasoning behind their move up to an SUV. 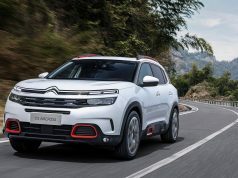 Well boot capacity in the Tiguan is nearly 200 litres more than that of the ever popular Qashqai and it is also 127 litres more than the best-selling car in its class – the Tucson. 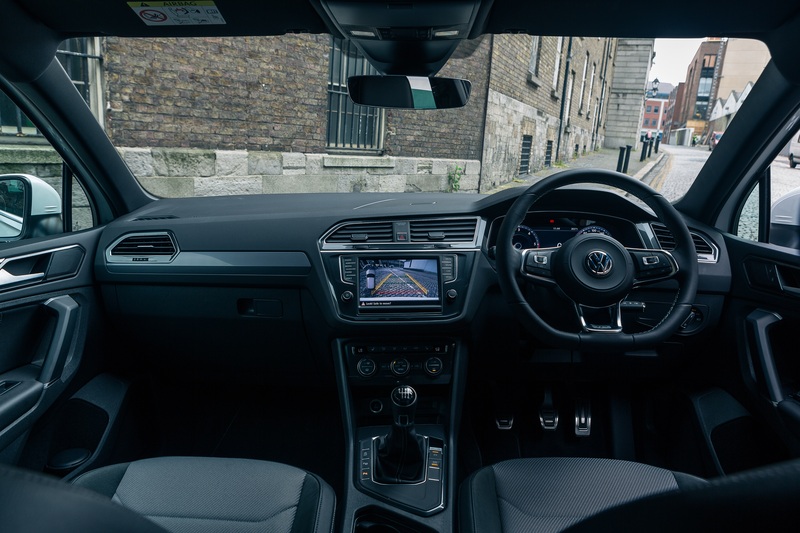 A larger tailgate than that of its predecessor further emphasises just how practical the Tiguan is and in terms of space for the driver and passengers there is plenty of leg and head room. On the road the 150bhp of the 1968cc TDI test model wasn’t overly powerful but it was responsive. 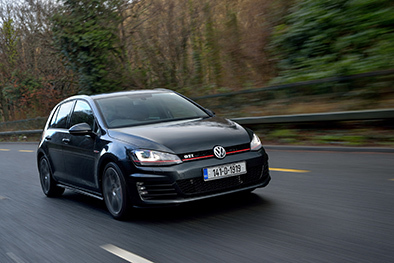 This engine is available in both manual and automatic variants, and both fall into the B1 category when it comes to motor tax which will cost you €270 per annum. 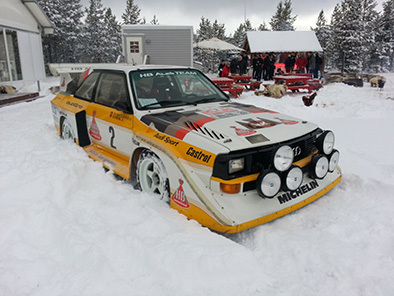 It’ll move you to 100kmph from a standing start in 9.3 seconds and has a top speed of 204kmph. Volkswagen quotes the Tiguan’s fuel economy at 4.9L per 100km on a combined urban and extra urban run. Over the course of my week long test drive I was getting slightly higher returns but overall the Tiguan proved quite frugal for such a large, solid vehicle.This is the first Volkswagen Group SUV to be based on the MQB platform; meaning that this new model is lighter, more efficient, and more spacious and comes with a more dramatic drive system than previous version. It’s also longer, lower and wider than the model it replaces. It handles well on country roads and makes for a very comfortable journey. Some might prefer a slightly softer ride but the suspension set up of the new Tiguan along with its fractionally lower ride height really minimalizes body roll. I thought it was really refined drive. 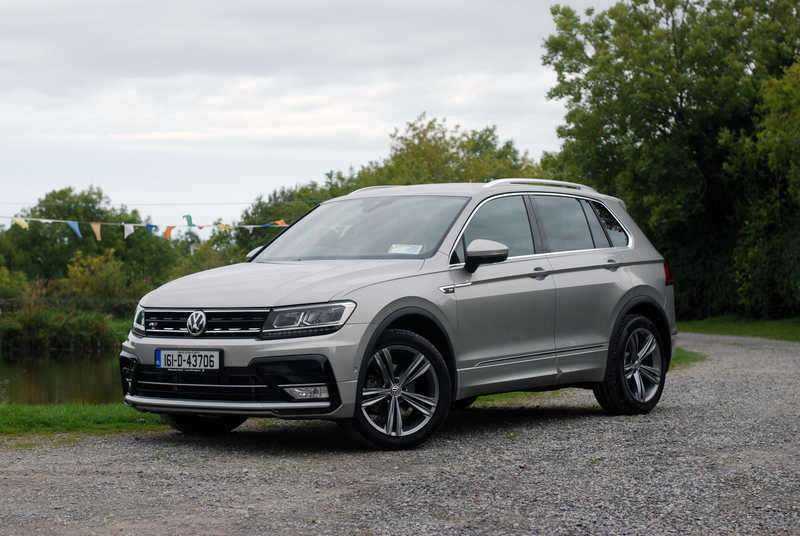 The Tiguan pricing starts from €29,860 for the 1.4-litre TSI engined petrol model while the 2.0-litre TDI version pricing starts at €31,760. 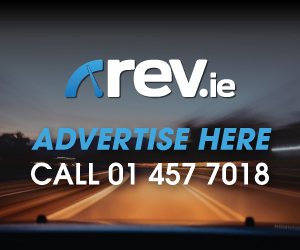 The 150bhp 2.0L TDI in highline trim which I tested costs €36,790 and had a further €3,613 in optional extras. The Tiguan might be a little bit pricier than some of its competitors but for many the build quality and the level of refinement will justify the difference. The premium feel of this new Tiguan really does set it apart from the competition.